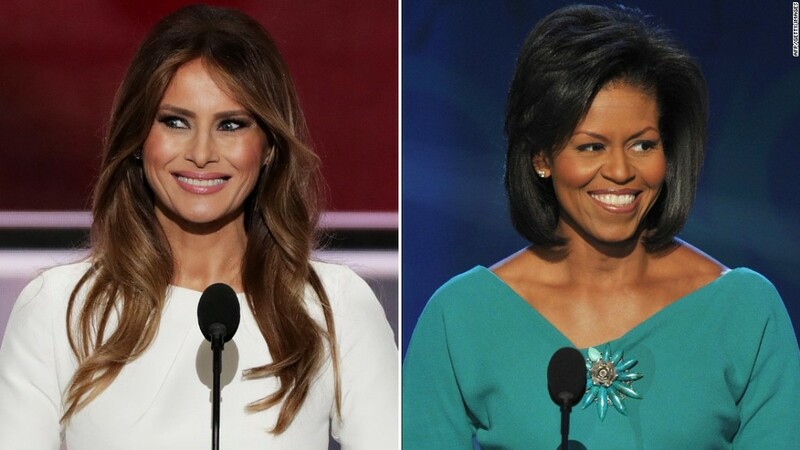 Meredith McIver, a writer for the Trump organization, took the blame Wednesday for the plagiarism in the speech Melania Trump delivered at the Republican National Convention speech Monday night. Until Wednesday, McIver had been an unknown in the background of Trump's organization, so much so that some online even questioned if she actually existed. However, she has been a big part of the Trump apparatus as a writer for the businessman turned candidate, working on five books with Trump since 2004. Those books have have gone on to sell 475,000 print copies combined, according to Nielsen BookScan. McIver is credited with having worked on 2004's "Trump: How to Get Rich," 2004's "Trump: Think like a Billionaire," 2006's "Trump 101: The Way to Success," 2008's "Trump: Never Give Up," and 2010's "Think like a Champion: An Informal Education In Business and Life." The biggest selling book of those was 2004's "How to Get Rich," which moved 250,000 copies. McIver also worked on Trump's 2006's "Why We Want You To Be Rich," a book the candidate wrote with businessman Robert Kiyosaki, which sold 260,000 copies. On Wednesday, McIver released a statement saying she was the one responsible for the plagiarism in Melania Trump's speech. "I apologize for the confusion and hysteria my mistake has caused," McIver said in the statement. She explained that she included phrasing in the speech that was from a 2008 address by First Lady Michelle Obama. According to her statement, McIver offered her resignation, which she said Donald and Melania Trump did not accept. "This was my mistake, and I feel terrible for the chaos I have caused Melania and the Trumps, as well as to Mrs. Obama," she added. "No harm was meant." It has been a big week for those who have worked with Donald Trump on some of his books. The New Yorker's latest issue features a long article about Tony Schwartz, the ghostwriter on Trump's 1987 "The Art of the Deal," who expressed regret over his involvement in the book. "I put lipstick on a pig," Schwartz told the magazine. "I feel a deep sense of remorse that I contributed to presenting Trump in a way that brought him wider attention and made him more appealing than he is."